Japanese fusion is so much more than the cuisine; it’s embodied in everything about Yokozuna. 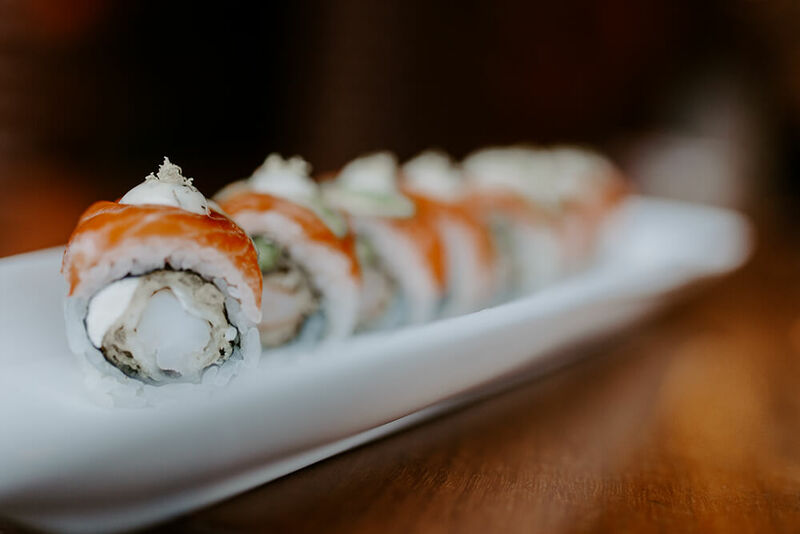 The Yokozuna menu is a journey with stops for everyone, whether you love your sashimi and nigiri, or prefer your fish fully cooked. Start on the cocktail menu, where you’ll find whimsically named concoctions like Now & Zen and Violet Confrontation. Don’t skip the appetizer menu. Yokozuna has some amazing offerings. The house-cut sweet potato fries are a revelation. The ramen bowls have to be tried to be believed. Forget about the ramen you had in college. This is a decadent serving of pork or chicken with a soy egg and more, in a broth so thick and rich and flavorful. The poke bowls are another popular choice. The heart of Yokozuna is its sushi menu. When you’re in the Blue Dome District, you know you’ve arrived at Tulsa’s spot for nightlife, entertainment, shopping, and fine dining. Speaking of fine dining, look for Yokozuna’s bright red sign lighting up the night sky over an old-fashioned brick colonnade. It’s a shining signal that you’re in for some of the finest dining in Tulsa. For 10 years, Yokozuna’s welcoming red sign has been inviting downtown to come in and enjoy Japanese fusion, unique ambiance, and great service. Japanese fusion is so much more than the cuisine; it’s embodied in everything about Yokozuna. 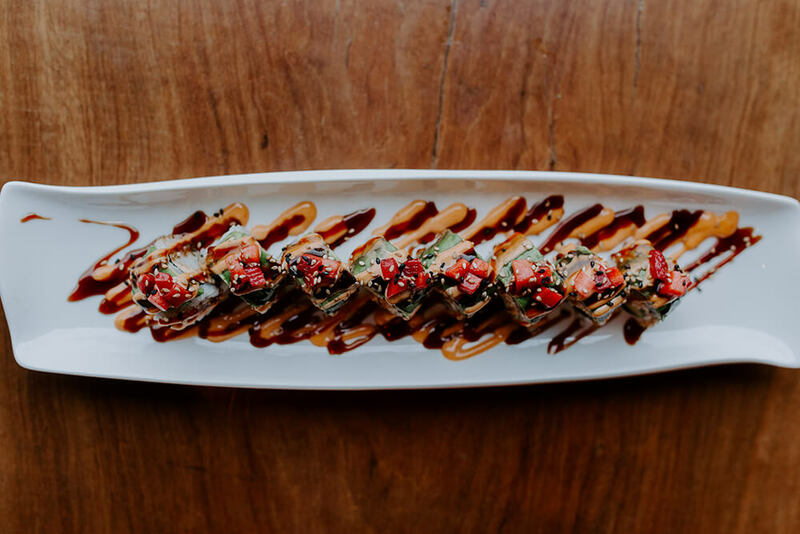 From the exposed brick of downtown Tulsa’s former manufacturing district to the banners of champion sumo wrestlers, Yokozuna is a fusion of classic Japanese culture with Tulsa’s reenergized downtown growth. 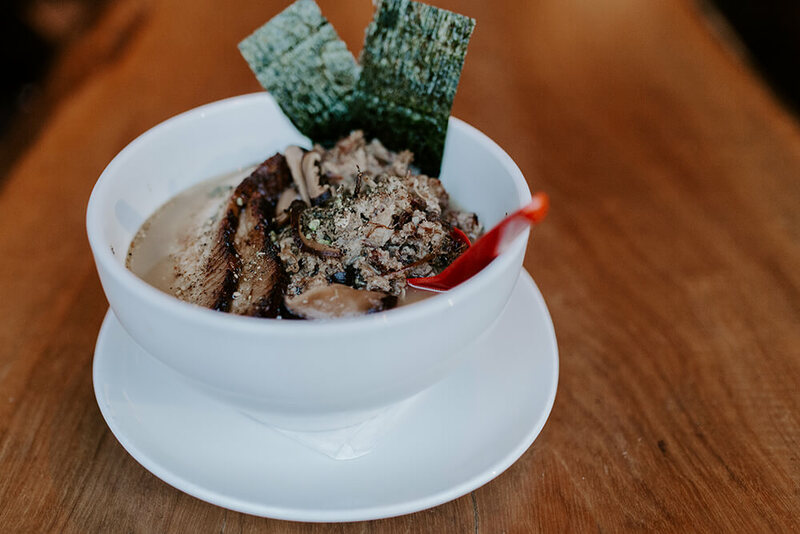 Dickason describes Yokozuna as, “a popular modern Japanese fusion location in the Blue Dome district that embodies the vibrant culture that is downtown Tulsa.” Yokozuna is popular indeed; they will be celebrating their 10-year anniversary this summer. With so much success downtown, Yokozuna opened a second location on south Yale Avenue five years ago. The unique ambiance of Yokozuna begins before you’re even inside. The brick colonnade was the entrance to a movie theater at one time. Once in the spacious entrance, look up and see if you can spy the dragon hiding in the rafters. You’d be excused for missing it; there’s a lot going on: high wood ceilings, bright banners, and that beautiful exposed brick. 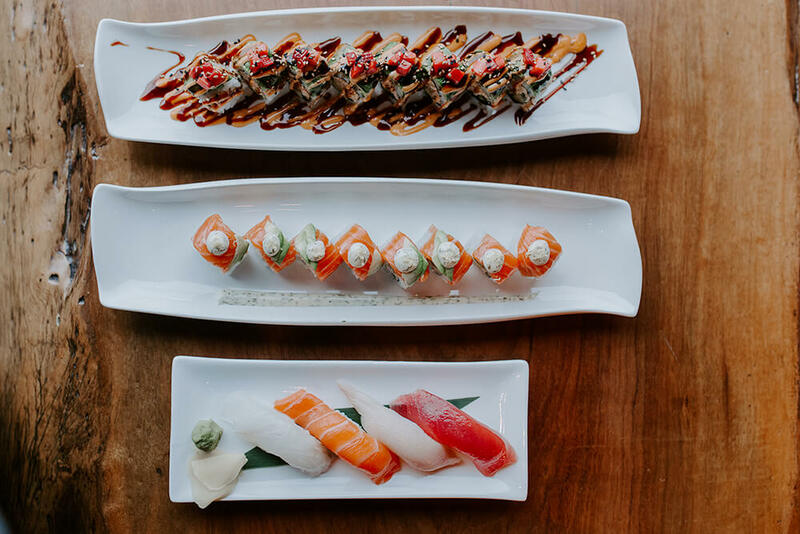 The Yokozuna menu is a journey with stops for everyone, whether you love your sashimi and nigiri, or prefer your fish fully cooked. Start on the cocktail menu, where you’ll find whimsically named concoctions like Now & Zen and Violet Confrontation. 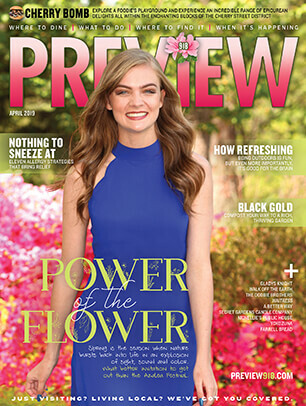 “We keep our cocktail menu on trend,” says Dickason. The Flying Lotus is a popular cocktail choice, blending gin, St. Germain and Cointreau with muddled jalapeno, cucumber, and lemon juice. The flavor is complex, with notes of bitter and sweet, sour and hot. The Pen is Mightier is made with Hibiki Harmony Japanese whiskey. The rich, oaky flavor of the whiskey suffuses through the ginger and fresh lemon juice for a refreshing and unique take on a whiskey cocktail. Dickason is proud of the sake menu. “We’re constantly curating it,” he explains. There’s the Ozeki House sake, sake bombs, sake flights, and a list of premium sake ranging from affordable to luxurious. The steamed buns cannot be missed. You can choose between sriracha chicken and hoisin pork belly. These traditional bites are flavorful and delightful. And Monday nights, they’re $1 from 5 p.m. to close. “You’ve got to have them,” says Dickason. The ramen bowls have to be tried to be believed. Forget about the ramen you had in college. This is a decadent serving of pork or chicken with a soy egg and more, in a broth so thick and rich and flavorful your tongue will think it’s died and gone to heaven. Umami for days. “The broth is made fresh from bones in-house,” says Dickason. The care shows. It’s worth a trip to Yokozuna for the ramen alone. The poke bowls are another popular choice. “People go crazy for them.” Consider the Meesh Mash, named for a longtime Yokozuna employee. 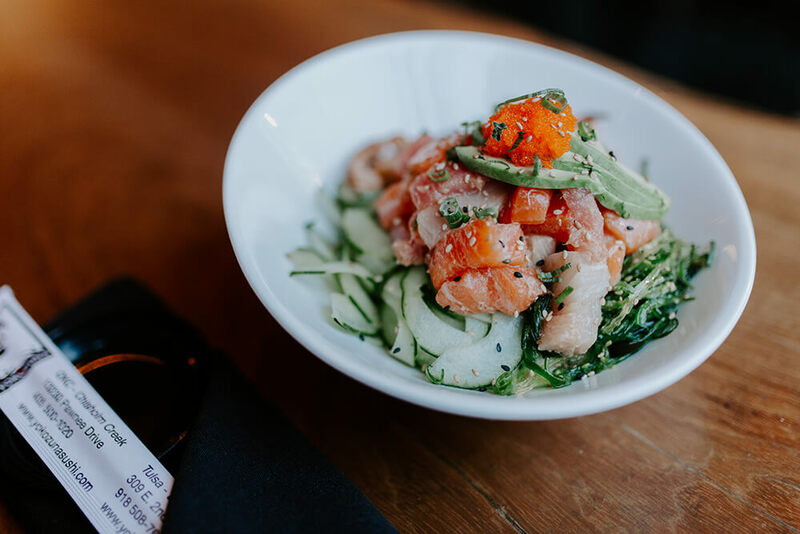 It’s marinated salmon, ahi, and yellowtail with avocado, masago, sesame seeds and garlic served atop sushi rice, cucumber, seaweed, and ika salad. 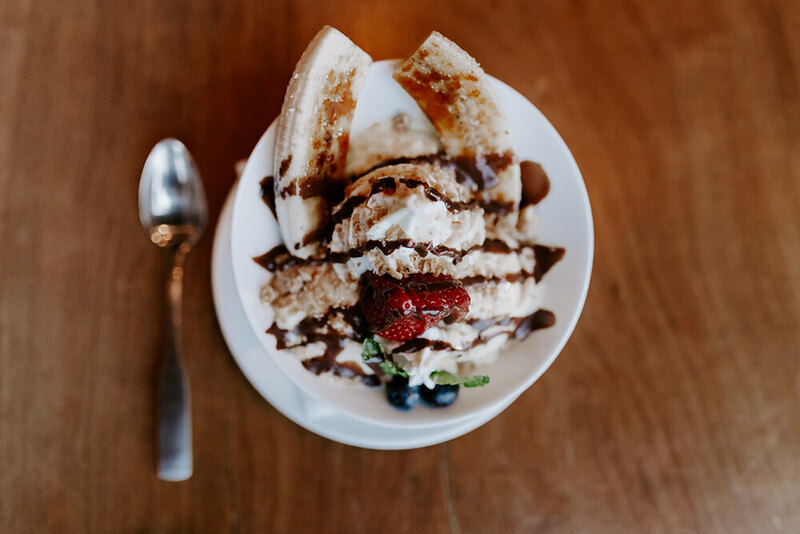 So many flavors and textures blend together into perfect bite after perfect bite. Consider dropping by for Yokozuna’s sushi happy hour, every day from 2-5 p.m. 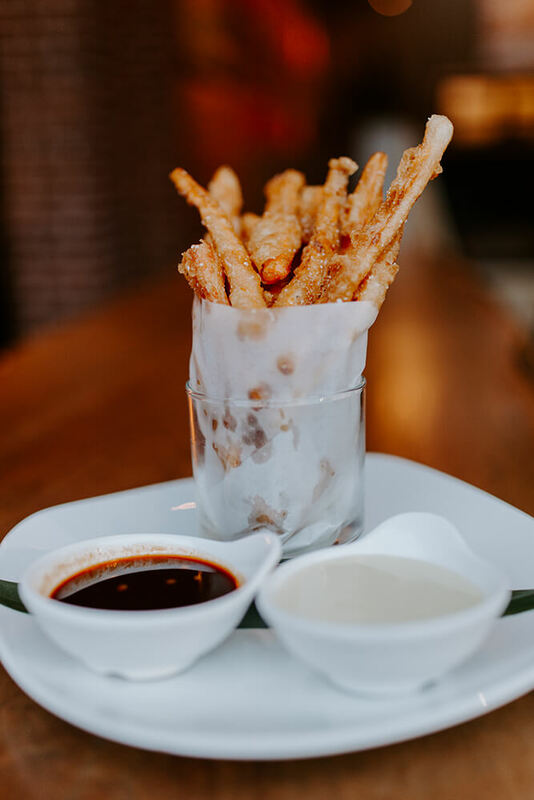 Designated appetizers — like those oh-so-tasty sweet potato fries — and rolls — like the popular Hot Mess — are discounted. That’s every day, so even if you work a regular 8 a.m.-5 p.m., you can still take advantage Saturday or Sunday.